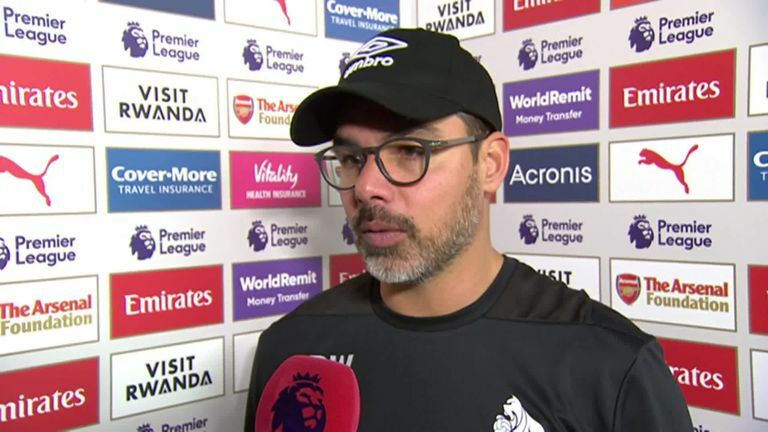 Huddersfield manager David Wagner praised his side's fight and says he is excited for their upcoming fixtures despite a 1-0 defeat at Arsenal. 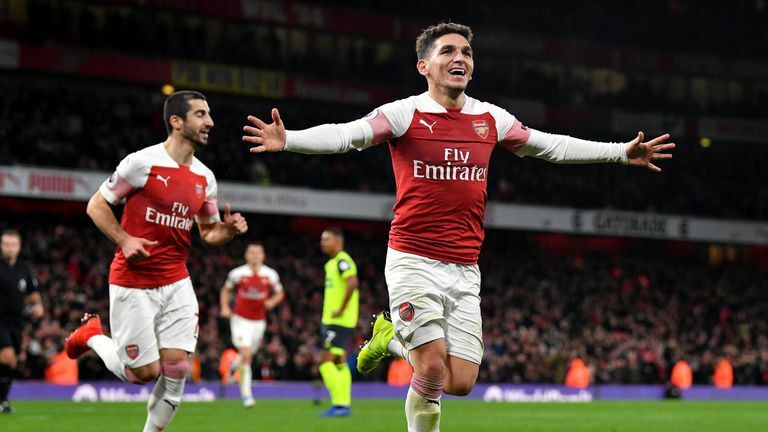 Lucas Torreira's late goal condemned Huddersfield to a third defeat in a week and leaves them in the bottom three but Wagner was encouraged by the performance. With home games against Newcastle and Southampton before Christmas, Wagner believes the way his team competed at the Emirates represented another step forward. "It's mixed emotions to be totally honest, we wanted to test ourselves to see if we can perform as we have in recent weeks against Arsenal away, against one of the top teams and I think the players have done that," he told Sky Sports. "They really have caused them some problems and gave them a fight. They really limited their qualities. They didn't have many shots, not a lot of shots on target and, especially in the first half, we were able to press them high and keep them away from the goal. "Second half, when they changed their formation, we decided to drop a little bit deeper. In the end, because of a few minutes, we haven't got the result. It's frustrating, yes, but they have every reason to be proud of how they performed today. "It was another step in the right direction in terms of performance because of the level of quality that the opponent had today. We can take this, go forward and I'm more than excited about the next games that we have in front of us." Wagner also played down the fact that his side have slipped back into the relegation zone and insisted that there are plenty of reasons for Huddersfield to be optimistic. "The table at the minute is irrelevant," he added. "Everything is so tight that you have to make sure that you perform, that you show the spirit that is necessary to be successful and this is what the players have done in recent weeks. "Performance-wise, good level, high level against a very good opponent today as well and points-wise not what we normally would like to have or deserved maybe but we will carry on and make sure that we will collect more points. "Today you have to speak about today's game and you will not create a lot of opportunities when you play Arsenal away. We created a couple, I'm unclear if these were clear-cut chances. "Obviously, maybe we should have done better in these situations but for me, it's more important how we defended and how we had a real go, gave them a real fight and how we really kept them away from our goal. "It was exactly the shift in effort that you need if you like to keep the ball out of your net and in nearly all of the game we have done, unfortunately in one situation we were unlucky." Wagner also confirmed that Jonathan Hogg and Tommy Smith, who went off injured, as well as Terence Kongolo, who took a knock to his knee, will be assessed in the coming days.